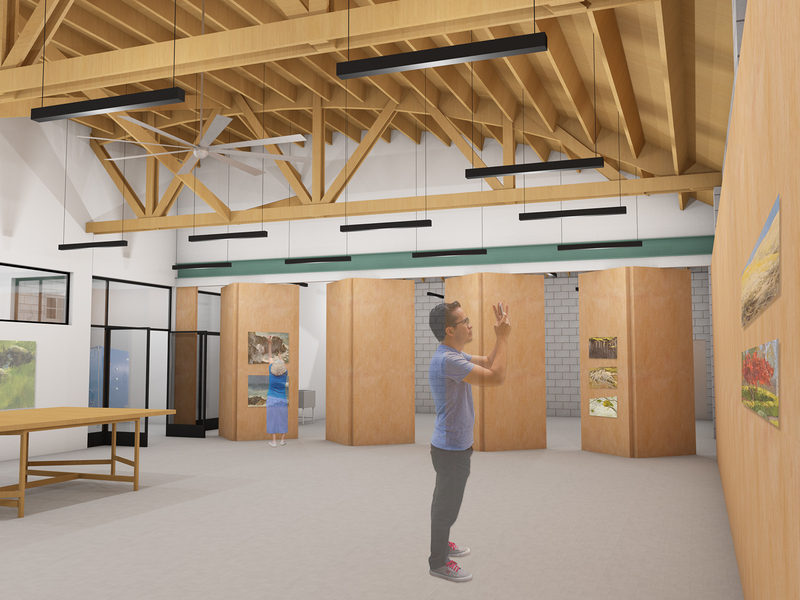 Originally a furniture store, recently a dance school, and soon to be a fine artist’s studio, this project attempts to harness natural light and shadow as elements essential to a creative workspace. 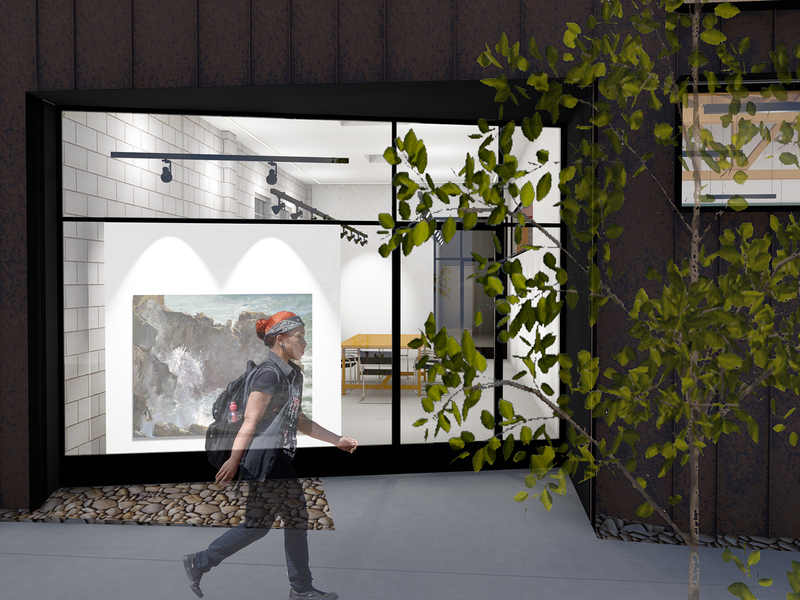 The reconfigured front façade, allows diffused illumination via large north-facing openings; overhead and wide at the painting studio, eye level and tall at sidewalk entry gallery. The rear sculpture space (where directional light can be a good thing) has an immense baffled skylight and full-height folding walls that provide for manually controlled work light. 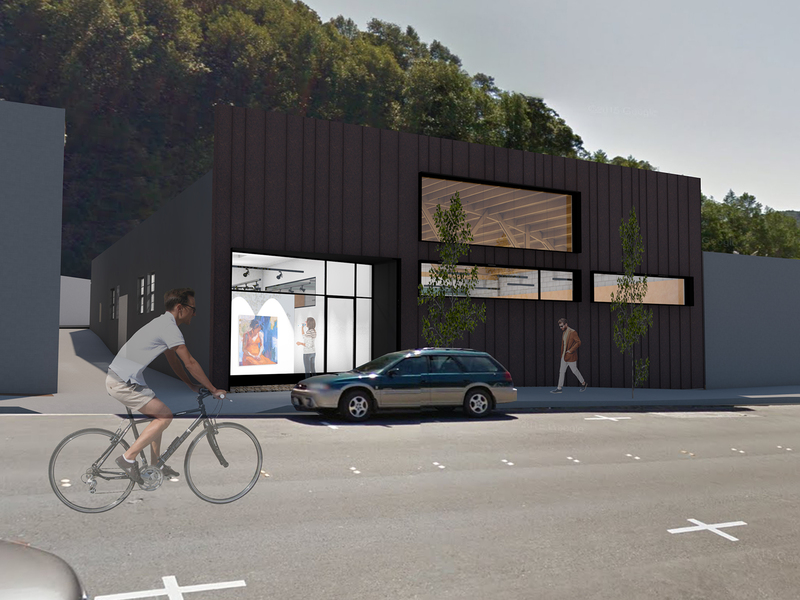 At the rear of the building, a new addition with large rollup doors and clerestory north windows accommodates 3 vehicle parking, fixing, and welding, as well as a ton of material storage. We look forward to the start of construction as well as seeing it put to good inspired use.